Mrs. Eileen Veronica Tilbury (nee O’Brien) passed away peacefully on August 16, 2018 at Hogarth Riverview Manor at the age of 89. Eileen was educated in the Catholic school system in Fort William. After attending St. Patrick High School, she worked as a Sales & Cosmetics Rep. at Bourke’s Drugstore (Victoria Ave.) and Ridgeway Pharmacy. 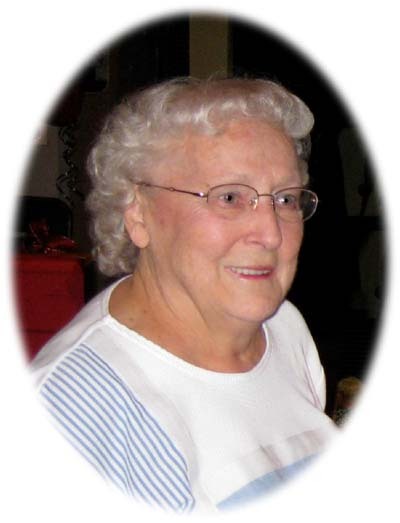 She was a lifelong member of St. Patrick’s Cathedral parish and 50-year member of the CWL. Eileen was active in the community, canvassing for both the Heart and Stoke Foundation and the Canadian Cancer Society. Her family was her passion and she looked forward to summers at East Loon Lake every year. Eileen is survived by Ernie, her husband of 60 years; brother Guy O’Brien (Thunder Bay) and brother-in-law John Moland (Edmonton), son Mark (Kirsten), grandchildren Emily, Spencer and Claudia as well as many nieces, nephew, and extended family members. She is predeceased by her parents Guy and Matilda (nee Heise) O’Brien, brother John O’Brien, sisters Kay, Margaret, Mary and Helen O’Brien, brother-in-law Eddie Dyll, sisters-in-law Pearl O’Brien and Joan O’Brien, and infant daughter Leslie Eileen Tilbury. Funeral services will be held on Thursday, August 30, 2018, when family and friends will gather for Funeral Mass at 11:00 am, at St. Patrick's Cathedral celebrated by Rev. Msgr. P.M. Stilla V.G. with Archdeacon Deborah Kraft of St. Paul’s Anglican Church assisting. Reception will be held at St. Paul’s Anglican Church (Ridgeway) immediately following Funeral Mass. Prayers will be offered Wednesday, August 29, 2018 at 7:00 pm in the Blake Funeral Chapel. If friends desire, memorials to the Heart and Stroke Foundation would be appreciated. Thank you to the staff of 4 South Hogarth Riverview Manor for your care and concern. Eileen Tilbury will be remembered in the Blake Funeral Chapel Memorial Grove. Annual dedication service Sunday, June 9, 2019.